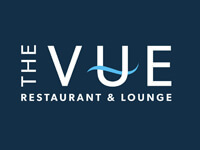 Looking for breakfast with a view….look no further, The VUE restaurant over looks the Wisconsin River and is the perfect place for breakfast. 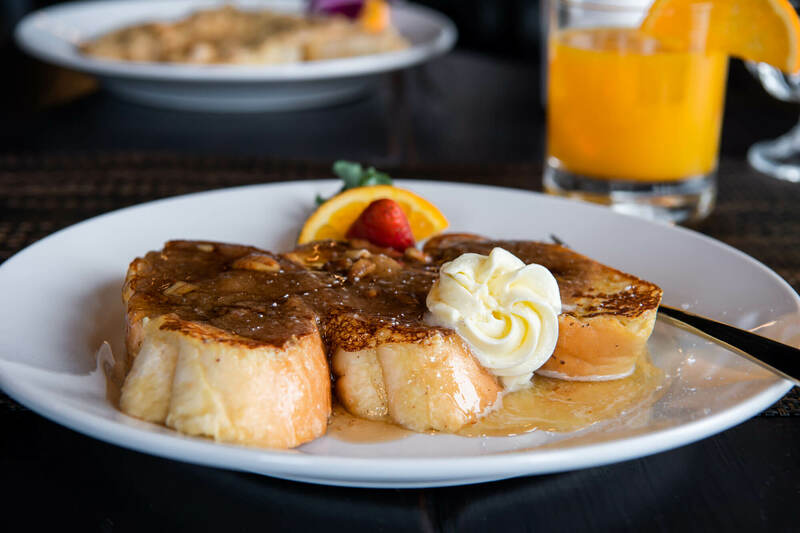 Enjoy a classic Eggs Benedict, hand made crepe or toasted pecan praline french toast. Homemade biscuits, 2 poached eggs with Canadian bacon topped with house made hollandaise. Served with hash browns or American fries. 3 Hand made crepes with choice of blueberry, strawberry or Nutella filling, fresh whipped cream and a fruit cup. 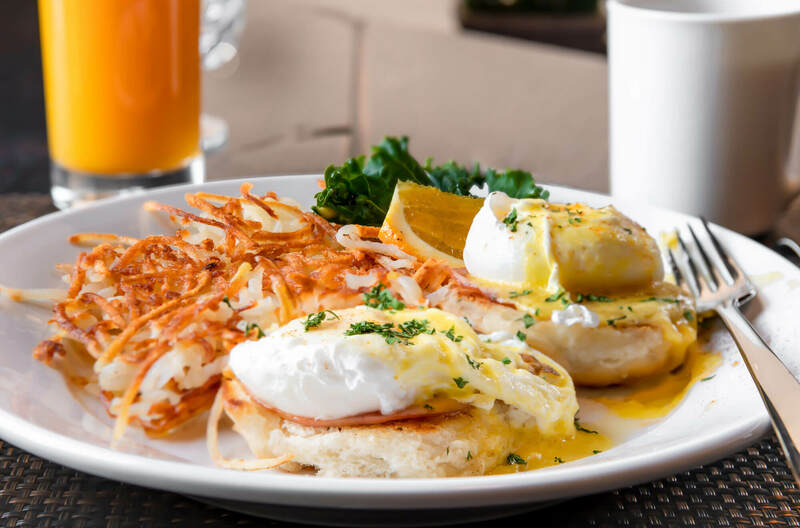 2 eggs cooked to your liking with hash browns or American fries, bacon or sausage links and choice of toast. 2 House made biscuits topped with fresh sausage gravy. Served with hash browns or American fries. French Bread dipped in light egg wash, baked with a toasted pecan praline and topped with fresh maple syrup. Fresh biscuits topped with hash browns, 2 eggs any style, sausage gravy, and cheddar cheese. 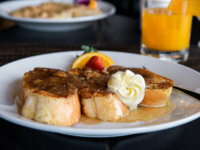 Chefs special recipe grilled till golden topped with strawberry preserves and maple syrup. 8 oz top sirloin served with 2 eggs served any style, choice of American fries or hash browns and choice of toast. 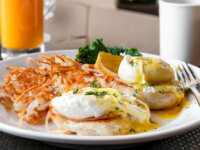 Omelet includes choice of hash browns or American fries and toast. Comes with cheese plus one additional ingredient. Bread Choices: Whole Wheat, White, Sour Dough & Rye. Ask server for egg whites only.